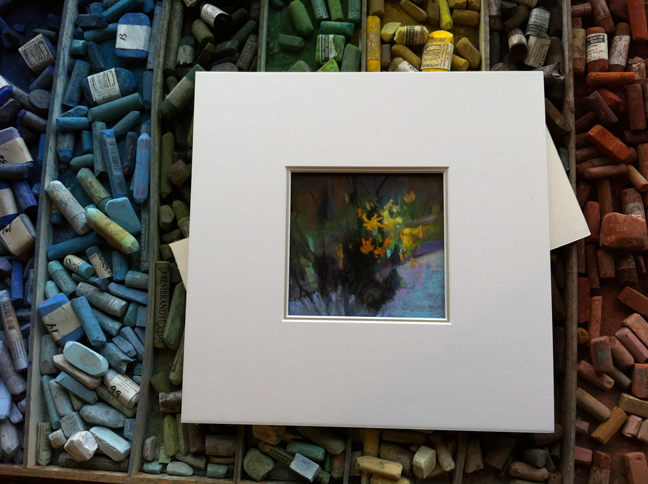 This is a bit of an April Fool's joke, as the miniature flower pastel is from the imagination. But, here is my travel and plein air box ready to go! 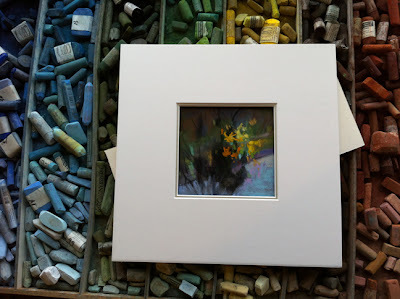 Maybe today I will get out the door and paint! 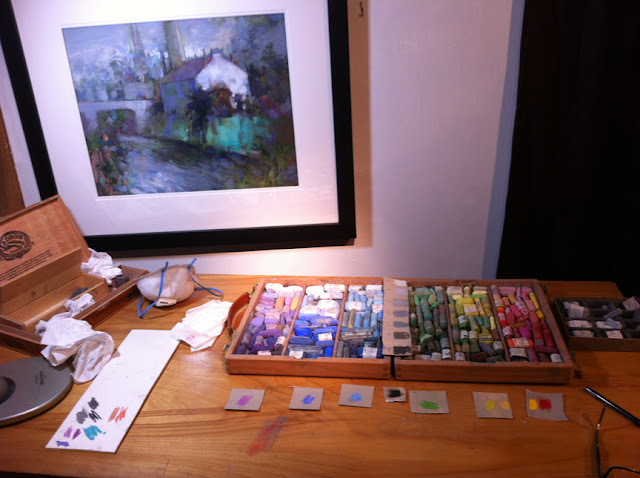 Special note: if I can get my studio palette spruced up, I will post a photo. I really need to make another one of those studio boxes, as I have the space and too many sticks. 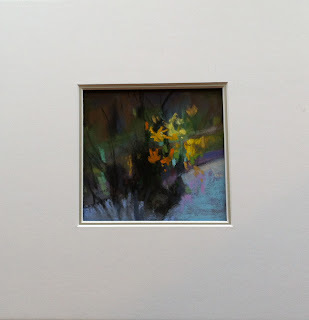 Black Earth with Yellow, @ 4" x 4," Pastel, Casey Klahn. Love this. An inspiration. When I get my cast maybe I'll try painting with my left hand. I'm itching to paint anything. Get that hand well, Donna. Left handed pastel work? That sounds like a good exercise!